John is a West Michigan Native and graduate of Grand Rapids Christian and Calvin College. John spent 10 years working in a high end hail market in Colorado. 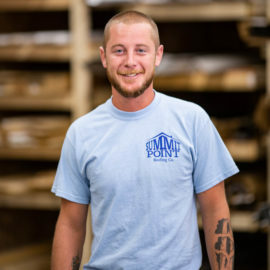 John manages much of the day to day operations of Summit Point Roofing and is the acting production manager. 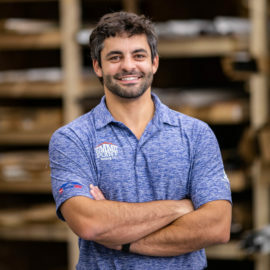 John is an expert on residential and commercial building code requirements, insurance claim handling, OSHA Compliance, and install practices for almost every roofing product on the market. John lives in the Cascade area with his wife Rachel and their three children. Joe is a West Michigan Native and graduate of Grand Rapids Christian and Calvin College. Joe spent 10 years working in a high end hail market in Colorado and in addition to managing some of the day to day needs of the business, Joe specializes in Insurance Claim handling, commercial multifamily, high end residential, metal, Synthetic Slate and Shake, Traditional Slate, and Snow Retention. Joe is a HAAG certified roof inspector, having gained the accreditation in 2015. Joe and his Wife Keri live in the Ottawa Hills neighborhood in Grand Rapids and have three kids. 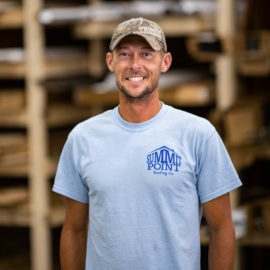 Jeremy got into the roofing business after spending 8 years teaching at Forest Hills Central Highschool. Looking to make a career change and knowing that John and Joe were dumb naive enough to take a chance on an unknown teacher, Jeremy has thrived since coming on board. 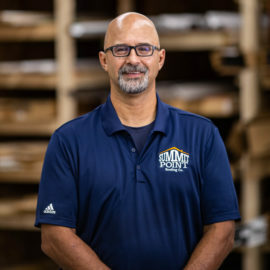 After learning the business from top to bottom by working in production, project management, sales, and purchasing- Jeremy now works as a roof consultant as well as managing and training many of the new employees. 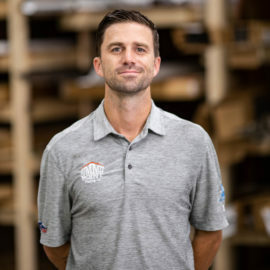 Jeremy is a HAAG certified roof inspector and focuses most of his efforts on developing our our residential, sloped commercial, multifamily, and repair business. Jeremy lives in Ada with his wife Alex and their four children. 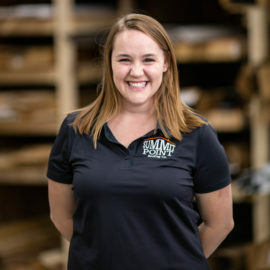 Chase came to Summit Point Roofing after graduating from Sparta Highschool and Western Michigan University with a degree in Marketing. 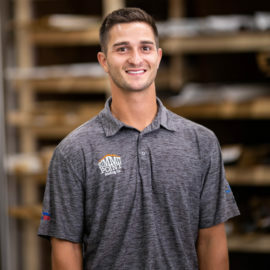 Chase has had to learn a lot and quickly, but he is a quick study and is quickly becoming an expert in residential roofing, insurance claim handling, building science, insulation, and more. Chase recently became a HAAG certified Roof inspector. Chase lives in Alger Heights and is the most eligible bachelor at Summit Point Roofing. Ray is one of our onsite project managers and ensures that our clients projects go off without a hitch. 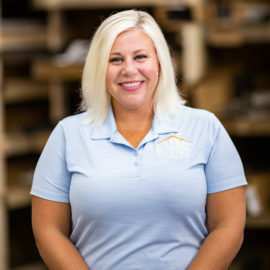 Ray has spent several years in the building and construction industry, and has worked in a similar role for one of the country's largest roofing companies in Florida. Ray is certified to operate just about anything with wheels and has an amazing eye for quality. Ray treats every house as if it is his own. Ray lives in Lowell with his wife and two children. Matt is one of our highly trained repair technicians and a West Michigan Native. 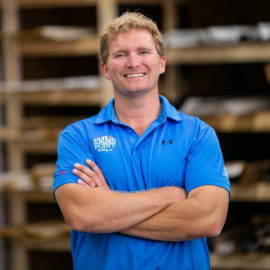 Having stumbled into the roofing industry in Maine, Matt worked as a custom fabricator and installer of high end metal roofs. Matt can do it all, but spends most of his time identifying roof leaks and finding solutions. 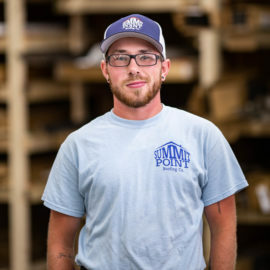 Matt also is certified to operate heavy equipment and runs Pettibones and fork trucks on our larger commercial projects. Matt lives in Caledonia and has two children. Brad came to Summit Point Roofing by way of North Carolina where he successfully owned and operated Hawkins Roofing. As a West Michigan Native who was looking to live closer to home, Brad and his family relocated to Ravena. Brad is an amazing roofer and specializes in flat roofing, liquid applied roofing, metal roofing, sloped and flat. Brad and his wife live with their two sons in Ravena. Thayne does everything. 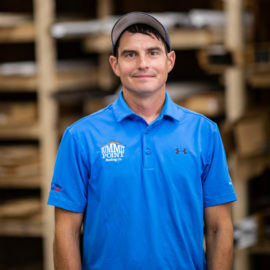 Having landed at Summit Point Roofing after many years of successfully running his own contracting and Handyman service, Thayne wears a number of different hats within the company. While he can build a house from top to bottom, Thayne spends most of his time working on roof repairs, job closeouts, and everything in between. Thayne grew up in Southern Illinois but now lives in Comstock Park with his wife and four kids and spends much of his free time building and designing cosplay props. The backbone of Summit Point Roofing. Our crew members come from a variety of backgrounds and each member is specially trained in a variety of roofing practices. Through continuing education and mentorship our crew members are focused on providing a quality install that will last a lifetime.